You’ve got some capital to spare and you know real estate is a guaranteed way to grow your financial portfolio and secure a healthy retirement fund. But do you know what the best real estate investment strategies are for new investors? How do you know where to put your capital? Here are the best investment strategies to start growing your real estate portfolio for long-term financial gains. Not sure where to invest your capital? Try starting with one of these tried-and-tested strategies for success. High-yield locations are a great starter strategy for new real estate investors. Areas with high rental demand are better options for long-term investments. A low-cost capital investment may appeal at first, but the returns are also going to be lower and less stable. High-yield areas are those with plenty of nearby amenities, schools, or attractive geography such as coastal apartments. You’ll be able to charge a higher rent than you would on a low-cost investment property. Tenant turnover will also be lower, and there is less likelihood of empty periods for your real estate. Choose areas of growth to see significant returns on your investment, too. For example, Strong|Edge Realty specializes in Puerto Rico real estate: low capital investments for a high-profit return. New real estate developments depreciate far more quickly than old ones. This means you can take advantage of depreciation tax breaks to greater effect on new build properties compared to older ones. 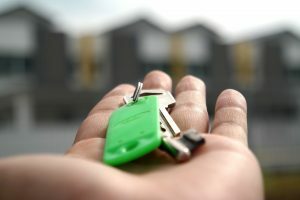 The opposite of real estate appreciation – where you flip a property investment for a higher price – the tax benefits of depreciation allow you to offset an amount each year from your rental property. Renovating old properties and selling for a profit is a quick route to earning additional capital for new real estate investors. You can save on your renovation costs by doing the work yourself. However, it is often more time-efficient to hire subcontractors, who will also be able to guarantee a standard of work. With the profit made from your first renovated property sale, you can either buy a larger renovation project, multiple real estate opportunities with less work required, or turn your hand to rental investments. Keeping the loan-to-value rate below 50% of your real estate investment is a surefire way to retain as much profit as possible. The more equity you own in your real estate, the faster positive cash flow becomes reality. Your rental income pays off a smaller loan faster than a larger one, so you’ll see pure profit in a shorter period of time. With this profit you can then invest in further real estate using more low loan-to-value rates to build your equity quickly. Buying parcels of raw land can be a profitable route if you know what to look for. The land can then be divided up and re-sold or offered as a whole to a housing or commercial developer. Seek out land that’s already near to commercial or residential utilities such as water and electricity connections. It should be near transport routes such as roads, too, in order to be attractive to developers. If you want to remain hands-off with your real estate investments and simply benefit from the profits, Real Estate Investment Trusts are an ideal option. You pay into a mutual stock fund which then invests your money, along with others in the fund, to buy commercial or residential real estate opportunities. With this option you have less control over where your money goes, but won’t have to handle things like finding tenants, landlord responsibilities, or building maintenance costs. There are so many real estate investment strategies for new investors that it’s hard to know where to start. However, when you’re looking into how and where to invest your capital into real estate, remember that diversification is critical. Investing in just one strategy limits your growth options – and you could even lose money in the long term. Read more about how to diversify your real estate investments to protect your financial portfolio.